Anime has always existed at something of a remove from Western audiences. For more than half the time since the 1963 debut of Astro Boy (originally Tetsuwan Atom), our main point of contact with anime had been through edited, rewritten and otherwise adapted works; and most of its enthusiasts didn’t speak or read the original language and were half a world away, geographically and culturally. Combined with the informal nature of its adoption here, through the ad hoc nature of science-fiction and comics fandom, the result has been a historiography that, for the longest time, was partly built on speculation and hearsay masquerading as fact. 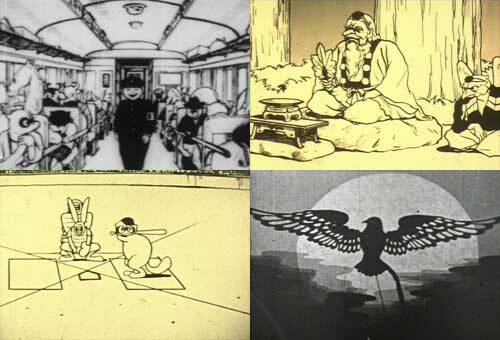 A multitude of factors has helped change that, especially over the last decade or so, but there’s still been precious little on the origins of animation in Japan, beyond tidbits of information scattered here and there. This is why Digital Meme’s recent Japanese Anime Classic Collection isn’t just a boxed set, it’s a godsend: it goes a long way toward clarifying things, or fleshing out what we already knew.